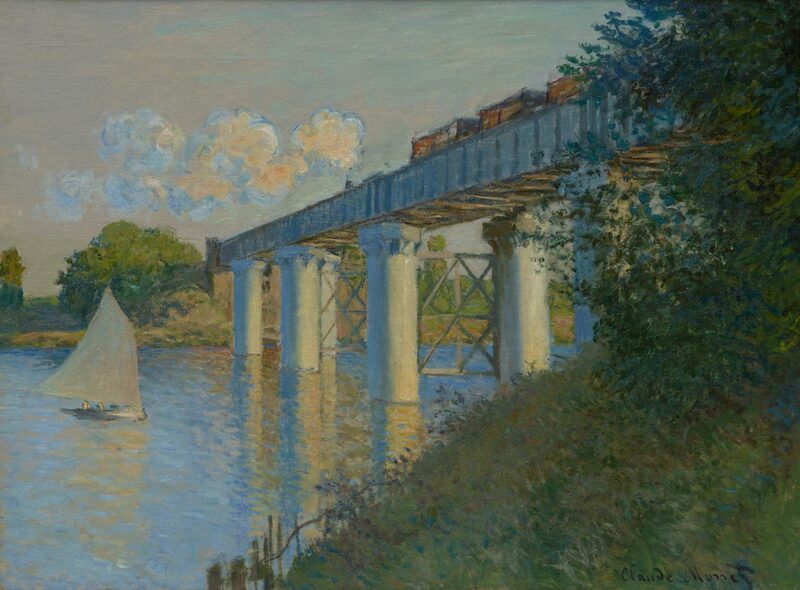 In the 1860s and 1870s Monet, like his Impressionist colleagues, often depicted industrial France. Here, a train crosses a newly constructed iron bridge on the outskirts of Paris. In his later landscape paintings such evidence of the modern world is almost completely omitted.